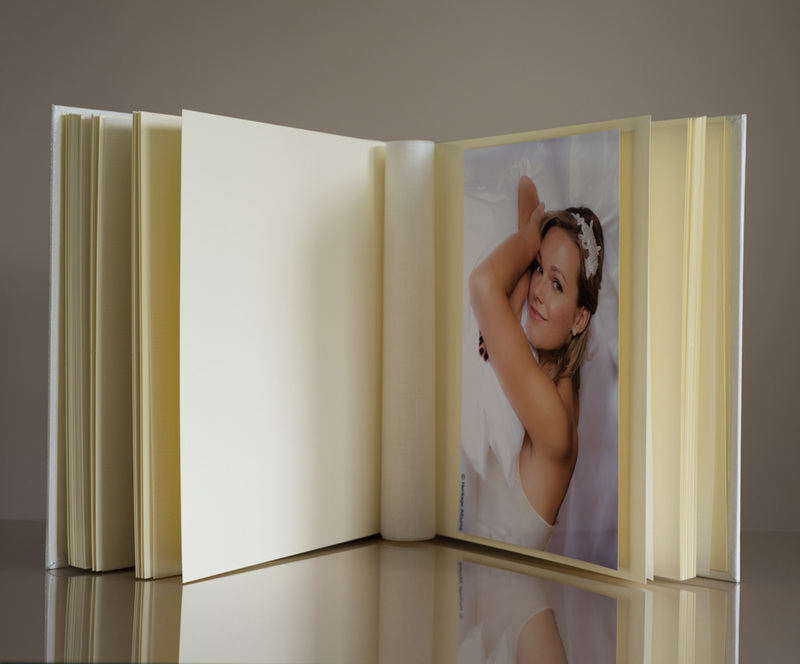 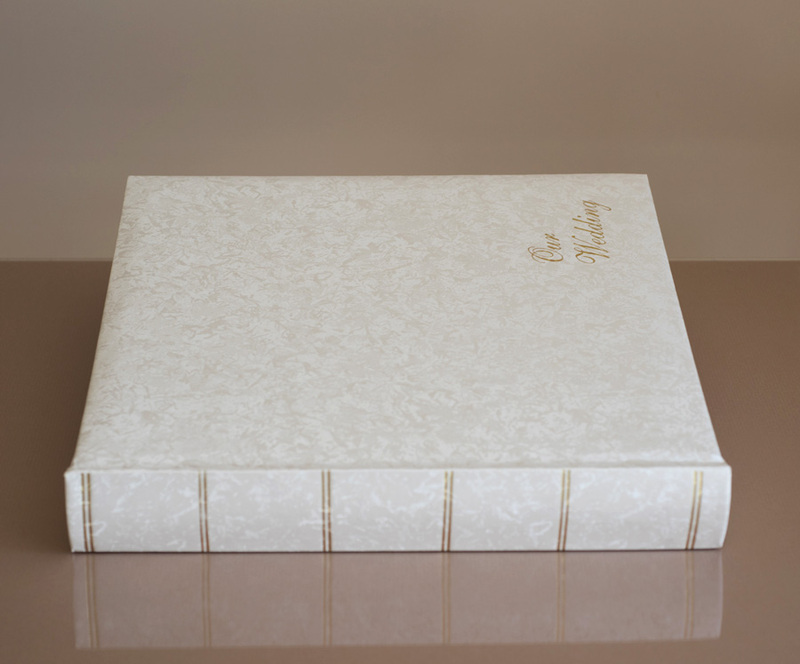 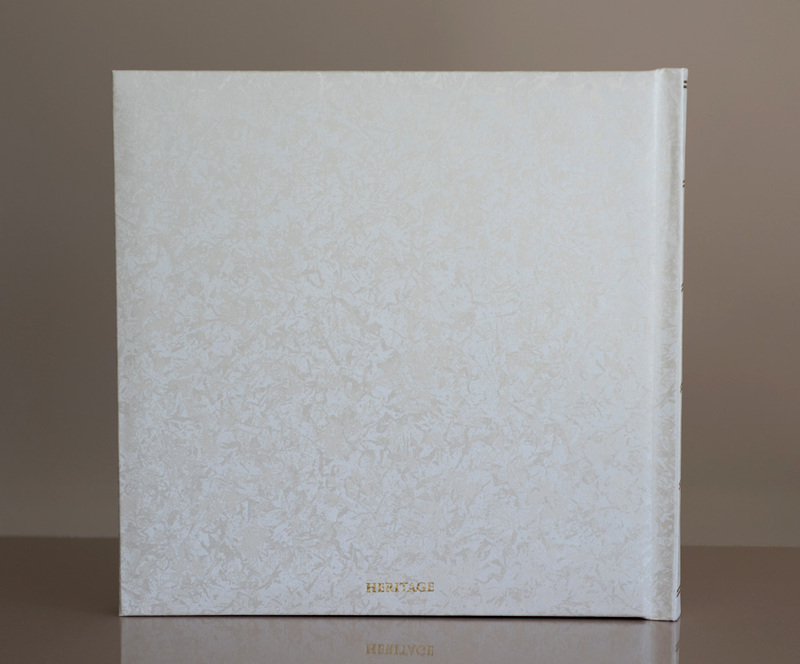 6"x 4" 5"x7" 8"x6" 9"x6" 10"x8" A4 12"x8" 12"x10"
The Romantica Classic Two is a is a truly classic wedding album that is handmade by our craftsmen here in the U.K. and features a white silk finish design with gold spine blocking. 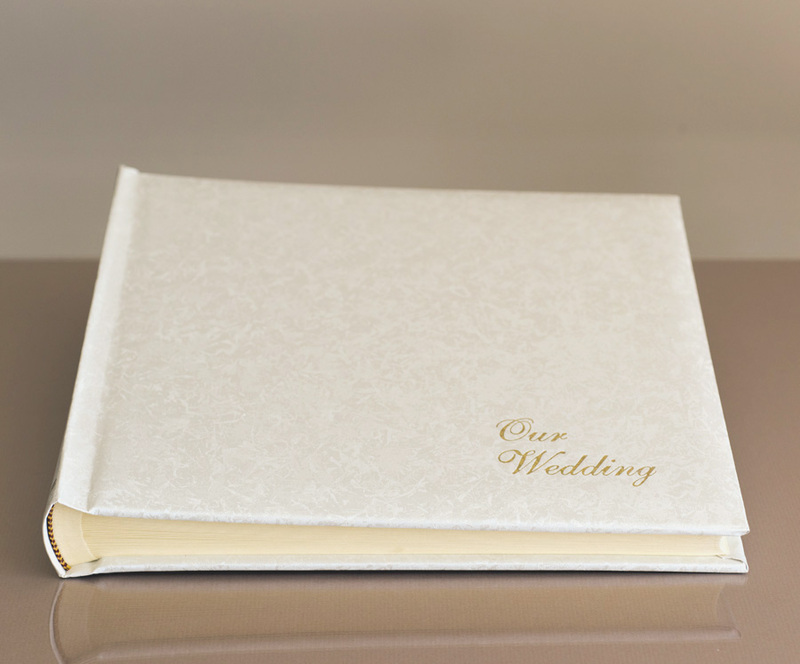 If you prefer you can choose to have your own text on the cover of the wedding album. 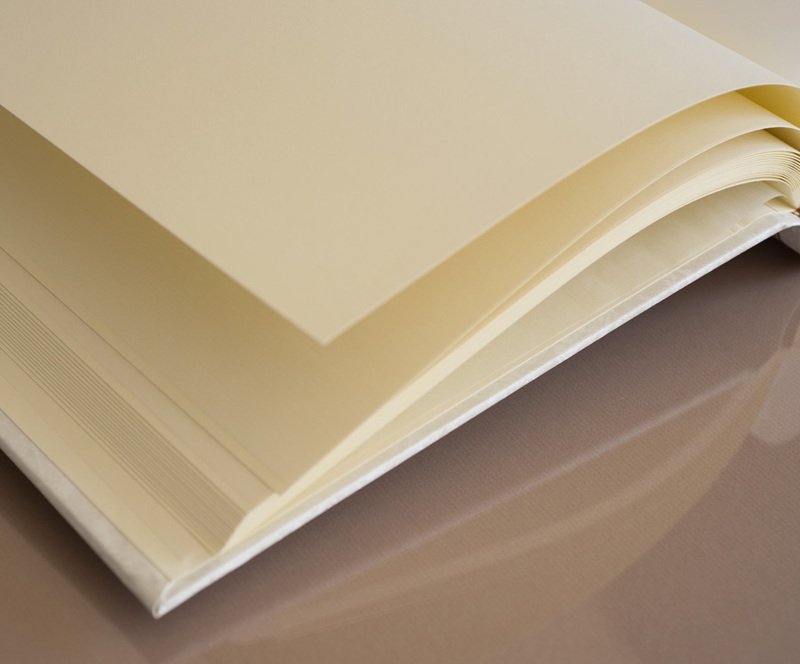 You can choose one line of text or two.